This post is sponsored by Minted.com. All thoughts and opinions are my own. My experience may differ from your own. You can read my full disclosure policy here. It’s time to order your holiday cards! This is really one of my favorite thing to do each Christmas season. It’s so fun to look back on our favorite family memories over the year, put the photos into a card,and share it with our friends and family. We LOVE getting them back in the mail, too! I’ve ordered from Minted.com in years past and have always loved their beautiful designs. This year I’ve partnered with them to share with you why you’ll love ordering from them, too! I like for my card to stand out in a stack, don’t you? Minted.com has the most unique designs for your holiday cards. They’ll definitely get noticed in a sea of cards, and hey, when you’re sending those precious pictures of your kids (or dog – he gets included too!) you want people to enjoy them as much as you do. 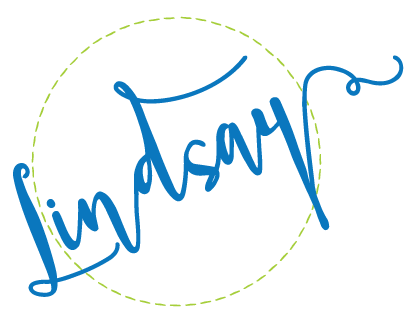 The reason Minted.com cards are so unique is that they are actually a design marketplace that creates a space for artists to share their work with all of us. Artists submit their work to Minted,com, the community votes on the designs, and the winners are what you see for sale on their website. Minted’s community of independent artists and designers are located in 48 states and 43 countries. So when you shop Minted, you are supporting your local artist. Love that! Minted cards are sturdy with vibrant colors. They’re not faded and flimsy. These are special cards, as special as the people you are sending them to, and they’ll know it as soon as they open the envelope. What do you DO with all of these cards when the holidays are over? With Minted cards, you can easily re-purpose them for display. They are totally frameable, or do what I do and leave them on the fridge all year! Minted cards are THAT pretty and they have so many designs that are a little bit more neutral and not so red and green, if you know what I mean. Think about about what you choose if you’d like to give it some life as a home decor piece after the new year. Buying holiday cards now and personalizing them later can be a very useful option when you see a sale you want to use but aren’t quite ready with your details. You can actually take advantage of a promotional offer “now” and come back to finish personalizing with photos, text, or addresses “later”, even after the promotion has expired. Nice, right? Their Find It Fast option a super helpful tool to find the perfect holiday card design. Simply upload your photo, then watch as it appears in hundreds of different holiday card designs. This saves a lot of time on individually clicking through and uploading photos to holiday card product pages. I love that. Lots of reasons why Minted is the way to go for your cards this year! Minted often has great discounts on their cards so I want to share what’s available now so you can save on your order. First, all gold foil cards are 20% off from November 8-14. All other cards are eligible for 15% off orders of 150+ and 10% off order of 100+. Head over to Minted.com to see which of their gorgeous holiday cards strike your fancy and find the current discount codes at the top of the site! The generous folks at Minted.com are offering my readers an awesome giveaway! 3 of you will each win a $100 gift code to shop on their site. Wow! This giveaway is open to US residents ages 18+ and will end at 11:59pm PT on November 14, 2016. Go here to enter! Good luck! I like the Bright Spirit card.